There is a great deal of sensitivity to one of the most notorious of the many Holocausts humankind has suffered: the Nazi Holocaust against Jews, Gypsies and others. Movies like Schindler’s List are a constant reminder of massive suffering that must never be forgotten and historical lessons that must be learned. Most believe that something like the Holocaust of the Nazis against Jews or Gypsies or other victims targeted by the Nazis could never happen here in America or in Canada. Imagine that something like what happened to Jews in Germany happened in America or Canada. Imagine that Jewish children were forced to repeat Christian prayers and were beaten or even murdered if they spoke or prayed in Hebrew or Yiddish and spoke or prayed Jewish prayers. Imagine if Jewish children were forced to eat pork that was not only forbidden for religious reasons but was also rotten, insect-infested and of the lowest quality so that many children could be “fed” cheaply and very profitably. Imagine if vulnerable and trusting Jewish children were routinely sexually and physically abused by “clergy” and when the sexual and physical abuse was discovered, those who reported it were beaten or murdered while those who committed the ugly deeds, were protected by powerful and rich churches and sent elsewhere to do more crimes to other Jewish children. Imagine that Jewish children were used for medical experiments or used to test new drugs or surgical procedures. Imagine if Jewish children were used as sexual objects for powerful pedophiles–“dignitaries”—when visiting the isolated institutions in which the Jewish children were kept away from their families and communities. Imagine if Jewish children were sterilized through coercion or deception. Imagine if Jewish children were registered and controlled by a BJA (Bureau of Jewish Affairs) that had a long history of fraud, theft, abuse and dereliction of trust responsibilities with respect to traditional Jewish lands and resources. Imagine if throughout the Jewish Ghettos, corrupt and sell-out Jews were selected or elected through fraudulent elections to control other Jews in the interests of non-Jews bent on the eventual elimination–through murder, intermarriage, redefinition, assimilation or sterilization–of all Jews. Imagine if Jewish children were forced into special Boarding/Residential Schools designed to beat, torture, intimidate and brainwash the “Jewishness” out of them. Imagine if there were football teams with names like the “Kansas City Kikes”, the “San Francisco Sheenies”, the “Houston Hebes” or the Jersey City Jew Boys”; and at half-time, some caricature, of what the bigoted and ignorant consider to be a “typical Jew”, came out to do the “money-grubbing tango”. Imagine if Jews were forbidden to celebrate Jewish holidays or to wear traditional Jewish yamulkas or prayer shawls. Imagine if all the precedents of Nuremberg and International Law (Treaties) were routinely broken by non-Jews while Jews were expected to keep all promises and responsibilities under those laws. You say it could not happen to Jews in America or Canada what was done in Nazi Germany? You say that especially after Nuremberg, and the horrors that were revealed there, “Never Again”, anywhere? With respect to Jews in America and Canada, perhaps all of the above and more could happen and perhaps not. But there is no “perhaps” that all of the above and much more was done—and is being done–in America and in Canada and elsewhere in the world to Indigenous Peoples. When do Indians and First Nations Peoples get movies like “Schindler’s List” that expose the past and present of the American and Canadian Holocausts? 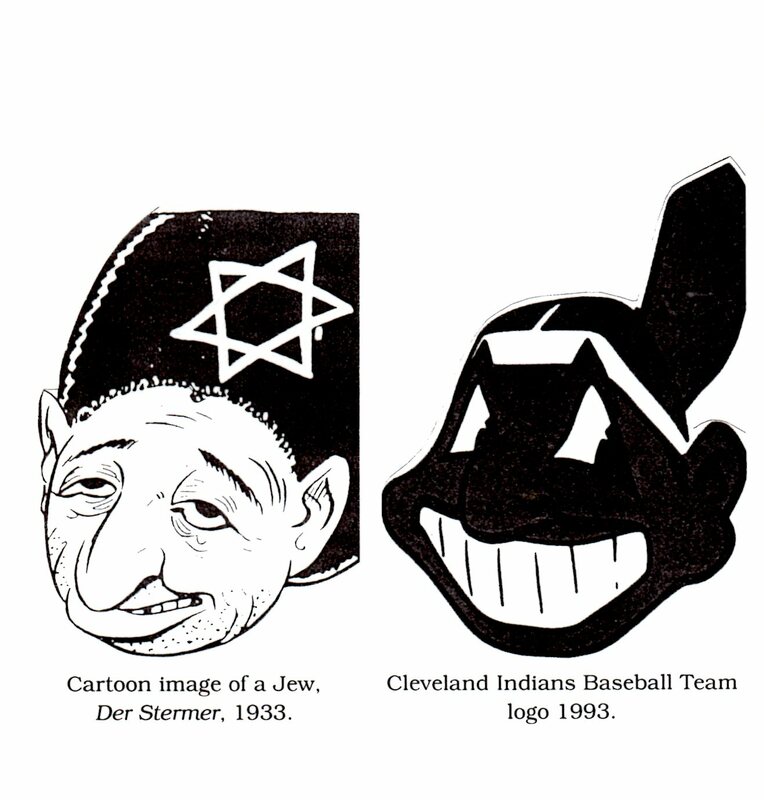 When do non-Indians care about the American and Canadian Holocausts against Indigenous Peoples as much as many non-Jews do –and should–care about the Nazi Holocaust? When do Indians get the precedents, legal protections and demands for justice of Nuremberg applied in–and to–the very Nations that so piously and hypocritically sat in judgment at Nuremberg? This entry was posted in 4th Media, Aboriginal Law, Canadian and American Holocausts, Canadian Genocide, Canadian Racism and Genocide, Eugenics Movement, Faces of Fascism, Fascism in America, First Nations in Canada, Genocide in and From America, Government Corruption, Indigenous Issues, Indigenous Science, International Law and Nuremberg Precedents, Legal Actions on Genocide, Mormon Racism, MSM Mainstream Media Sycophancy, Nuremberg Precedents, Rockefellers and Nazi Eugenics, U.S. Terrorism, Uncategorized, US and Candian Holocausts. Bookmark the permalink. Be sure to check out Jefferson’s “unofficial” letter!